I’ve been researching autistic “self-stimulatory” behaviors, aka stimming. I began my foray to understand my most salient stim, noisemaking. I “sing” nonsense songs. I don’t mean your garden variety singing-to yourself sort of singing. I mean hour long sessions of repeating “Blue-dude-blue-dude-blue dude” in a cartoony-resonating voice. I know my blue-duding is strange. It’s an odd reverberating sound that could never be mistaken for real singing or even speaking. 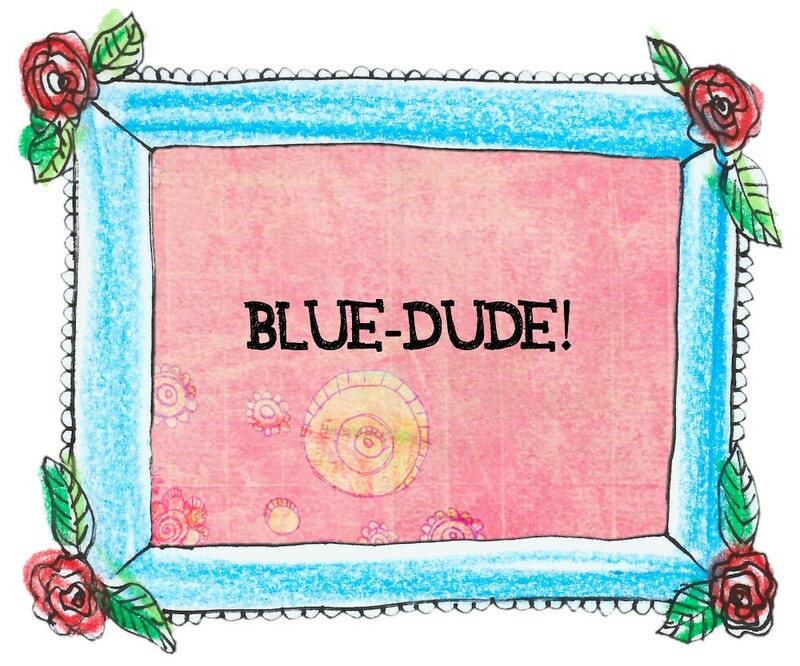 I don’t blue-dude in public, around friends or houseguests. I keep it private. During a session, I “blue-dude” one of three songs interminably: Phantom of the Opera, The Imperial March, or the theme song from whatever cartoon my son is obsessing over. The songs may change, but the blue-dudes never do. I have been blue-duding for over 35 years. To understand myself better, I kept a blue-dude journal. I blue-dude when I wake up, feel happy or return from a stimulating outing. Blue-duding is a natural expression of joy and relief. The mouthfeel and resonance is like an everlasting lollipop for my brain. And I never blue-dude when I am sad. My songs are a consequence of a positive, excitable mood. This emotion creates acute tension—like a breath held too long. The exhalation of noise is vital to my physical state. Only blue-duding can dissipate internal pressure and return me to equilibrium. Some psychologists believe “stimming” is a replacement for socializing and other “normal” behavior. For example, while a typical person might receive stimulation from interacting with others, my brain prefers the self- stimulation of blue-duding. I don’t think so. I am a boiling kettle blowing off steam. Other people do not boil as quickly as me. Nor do they boil with such vigor. My space on the autism spectrum is a variation of intensity. If everyone bubbled so effusively, we would jiggle the planet with our song. Self-stimulatory behaviors are self-soothing behaviors. These behaviors are important tools for the intense and overloaded to regulate themselves. As an autistic adult who can control her public bliss, I hope others learn to tolerate and accept self-soothing in others. If another person rocks, spins, or flaps– embrace that novelty as an unexpressed variation of yourself. Mar 18 2012 Sep 11 2013 Lori D.
🙂 I’ve never heard of blue-duding, but anything that is an everlasting lollipop for the brain has to be pretty darned good! Thanks for sharing this, it was really interesting to me. I have been pondering stims and what they might be for my son this weekend actually, as he does not do the things I typically think of as stims, I have a post about it I’ll publish in the next few days if I get it worked out in my head. Thanks. Cool! I would be very interested in reading. I have learned a great deal about “stims” over the past year. The surprising thing is how subtle they can be. A good deal of ASD self soothing behaviors are present in the NT world, it is just that autistiv people perform them at unexpected times. I have always been “new car happy” over little things. Being totaly jazzed over small things can really annoy others–I was singled out and treated very unkindly in school. I think that re-directing excitement into something less obvious is helpful. Bending paperclips is better than hooting in a classromm setting, for example. Thank you for the support Sam! Are you kidding? “I “sing” nonsense songs.” I have done this my whole life and Phantom of the Opera! Ok, ok calm down Angel la la la um… I am really excited right. I love this post. I tend to “control” my silly songs because it was driving David batty (it has always driven my mom batty), but I still do it when he is not around. One night I got a paper cut and it hurt, I started singing ” Ow, ow, I need a band aid, I have a paper cut and it hurts, ow, ow my song is ow” That is all I can remember, but it went on for several minutes and David said: “OK! I get it your song is ow!” Ha ha ha I like to make up lyrics to songs all the time, but a running joke around here is me making up a song and then saying “To the tune of Do Not Destroy” In the bible over some of the Psalms it says “To the tune of Do Not Destroy” and for some reason David and I think that it is hilarious to have beautiful spiritual poetic songs starting with a tune titled that way. And what does that tune sound like?? I want to know! My silly songs is one way that helped Daniel become verbal. He did not speak, but he sang songs. He knew 365 bible songs at age three, but would not utter a word. I didn’t realize this until one day I heard him in his room. I peeped around the corner when he was not looking and I listened. He liked a cd set of bible songs, so I played them non-stop because they helped him stay calm. When I realized that he was singing the songs, in order of all 8 cds I started singing everything. I made up songs about eating, playing, going outside, putting on clothes, you name it songs, songs, songs. I then discovered cd’s that had kids songs about doing everyday things and got those. If he couldn’t talk I would ask him to sing it. Sometimes he would sometimes he wouldn’t, but it helped him to learn words. He barely sings now though, I do not know why. Funny he still knows every song from that 8 cd set. If I play it in the car any random cd, and I do not play it in order he will say: “No, mom you missed a song.” Lol! Thank you Angel for sharing your story. My brain took a vacation and I missed your comment. It is fascinating about Daniel learning his Bible songs. Spectrum kids have fantastic memories. I like how you used his strengths to build skills in other areas. Some teachers and therapists can get so caught up in their own techniqu and agenda that they miss the blessings that special interests are. So hooray for you! I laugh when you say he needs to hear the songs in order. My son, too! His CD set that he memorized was “Jesus Christ SuperStar.” My husband is Russian, and the musical was wildly popular when he was growing up, so we played it to our son. He could not remember all the words then but he’s sing along. “Jesus Christ SuperStar. NO WAY! I That is my mom’s favorite. I grew up to the album. I know it word for word. I wasn’t brought up in church, my mom brought me up on that album. 🙂 Lol! I think that is awesome that your son knows it too! I tend to sing / recite to my cats. They’re sort of nonsense songs, sometimes, usually sung to the tune of “The Ants Go Marching In”, “Banana Fo-fana” (or whatever the title of that song is), and one other rhythm that I can’t really remember the name of (I’m *bad* with titles). I usually incorporate their name into it somehow. In fact, the “Imber-kitten mitten witten knitten bitten” song is one I often use to call or coax Imber to come somewhere she’s not entirely sure about. Or to let her know I’m around. Never really thought of that behaviour as stimming, but it makes a lot of sense! I’m actually trying to find out as much as I can about stimming, because I: A) don’t know my stimming behaviours (thank you for this post, which has alerted me to the ones above! ); B) need to figure them out so I can learn to apply them consciously when I need to; and C) need to figure them out so I can recognize when I’m feeling a trigger! I’ve ended up close to meltdowns and overloads because I haven’t consciously recognized that I’m approaching that level, and if I learn what my anxiety-produced stimming behaviours are, I think I’ll be able to figure out when I’m in a bad situation – overload or meltdown wise – and get out. You should check out Amethyst Schaber’s video on stimming. Her youtube channel username is neurowonderful and her series is called ask an autistic. I have been really enjoying them and you might too. I love your collage art!